What does it take for everyday people to shift an election? We traveled to Launceston Tasmania to learn how GetUp worked with locals here to shift the last Australian Federal Election in 2016. There have been many accusations about how GetUp “removed” a sitting MP Andrew Nikolic, one of the more conservative members of Government. GetUp treats such accusations as applause, as they were very upfront about their strategy to remove so-called “blockers” of progressive policy months before the election began. But what is little known in the public discussion is how GetUp successfully organised in the seat of Bass. Bass is an interesting seat as it has characteristics that look like the former industrial heartland of United Kingdom or the United States. membership in the electorate to begin with (the membership was in the thousands, but relatively small for a million member organisation), so it needed to expand its offline reach to be effective. 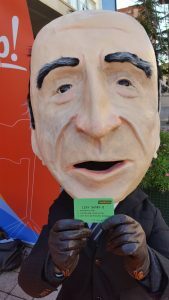 It did this by getting people offline to participate in online actions, like posting photos of themselves with a puppet of Andrew Nikolic on their Facebook page. GetUp would then share and amplify these posts. This had the power of growing the base of GetUp in the electorate while sharing a successful message (that Nikolic made himself unavailable to talk to constituents). The power of mixing local with national: Most of the campaign was done by a small group of local organisers and leaders. This was critical for credibility and authenticity – the campaign was locally driven, and had a particular punch when lead by local health spokespeople (as the campaign was predominantly about the hospital). However there was power in bringing the centralised resources of a national campaign into a local place. This included national phone banking and money to hire local organisers. Have the local lead the national: There was some tension in the campaign at times about who called the shots. Using the interviews I collected, it appears that the campaign was most successful with the local activists had control over how the campaign would operate in that local space. 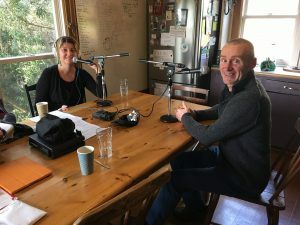 This went as far as having organisers from the local area – knowing people, the lay of the land, the local politics was crucial for running a campaign like this, especially when there wasn’t much time for relationship building. It went so far as the local team vetoing campaign content, or organising for campaign materials to be drafted differently so they fitted in with the local context.